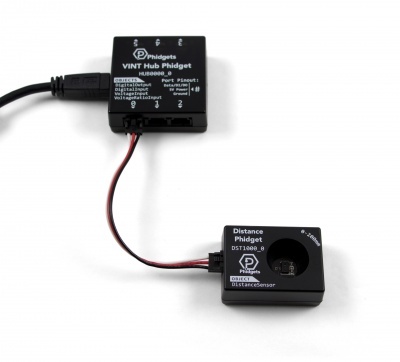 Do you need a sensor that can measure short distances or detect the motion of objects passing by? This Phidget uses infrared light and a time-of-flight calculation to determine how far away an object is. 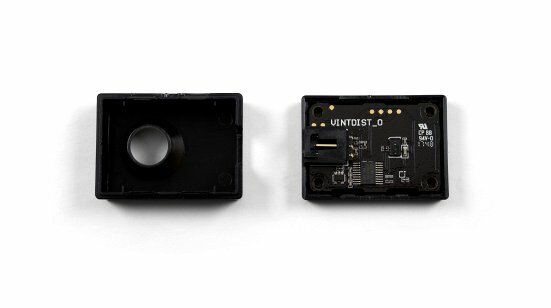 It can report the distance of the object it's pointed at as often as every 100 milliseconds, and will throw a out-of-range event when the distance exceeds the sensor's maximum range. Since infrared light is what it uses for the measurement, highly reflective objects will be easier to measure. The DST1000 connects to a VINT hub. 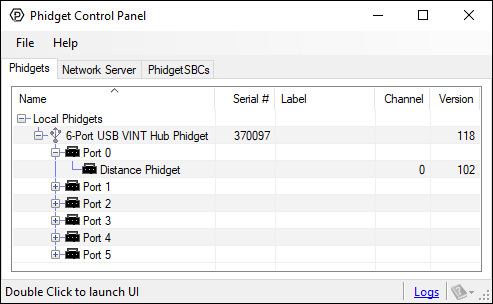 Have a look at the Connection & Compatibility tab for a list of Phidgets with VINT ports. Note: The label on the enclosure that reads "0-200mm" is innacurate. 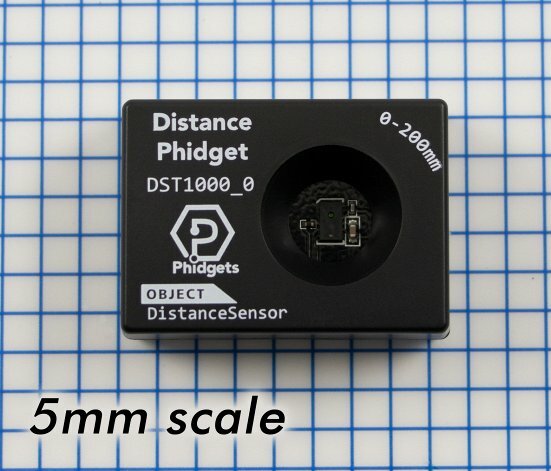 In optimal conditions, this sensor will have a maximum distance of approximately 170mm. Connect the DST1000 to the VINT Hub using the Phidget cable. Now that you have everything together, let's start using the DST1000! In order to demonstrate the functionality of the DST1000, the Phidget Control Panel running on a Windows machine will be used. Linux users can follow the getting started with Linux guide and continue reading here for more information about the DST1000. The DST1000 will fire out-of-range error events when the reflected IR light doesn't reach the sensor, meaning the object is out of range. Objects that do not reflect light well might be harder to detect at greater distances. * - Maximum distance depends on the reflectivity of the surface of the object. Typical results are around 170mm, but could be as low as 100mm for some surfaces. The "200mm" listed on the enclosure is incorrect.